Back in May of this year, we celebrated World Fair Trade Day and their theme, Agents for Change, by profiling independent stores that are all, in their own ways, agents for change. Each of these shops brought something new and important to the landscape of slow and ethical fashion – but the list was in no way extensive. As we enter the peak summer months of July and August, we now want to focus on some more of our brilliant stockists who are not only important to the growth of the slow fashion movement, but are also in the perfect British summer locations! The ideal destination for a summer holiday with a much lower carbon footprint. This week we’re heading to Cornwall, one of the quintessential holiday spots. But before we hit the beach, we’re visiting Ula Clothing & Lifestyle at the Old Foundry Chapel in Hayle. Ula is a newly established Cornish based clothing boutique based in an old chapel in Hayle. Their choice of clothing is based on customers who love clothes that reflect the country and coast but also like to dress up with the on trend prints and shapes every now and again. 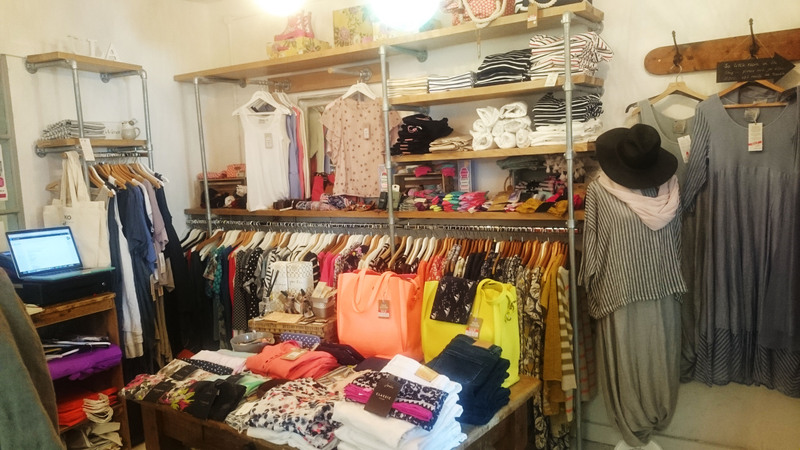 This includes a range of organic and fairtrade goods, alongside other boutique and independent labels around Cornwall. If you’re in the area, here are the sales’ team top recommendations! Ula Clothing is open 9.30 to 16.30, Monday to Saturday. Organic Vs Non-Organic, why should you make the switch?